It certainly is history! 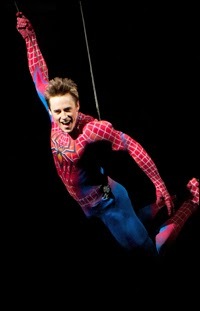 Reeve Carney's costume from Spider-Man Turn Off the Dark will be inducted to the permanent collection of the Smithsonian Institution's National Museum of American History in Washington, D.C. The iconic costume was designed by Tony nominated costume designer Eiko Ishioka and specifically fitted for the original star. Spider-Man will turn off the dark on Broadway on September 4th. What other iconic Broadway costumes do you think should be honored at the Smithsonian?